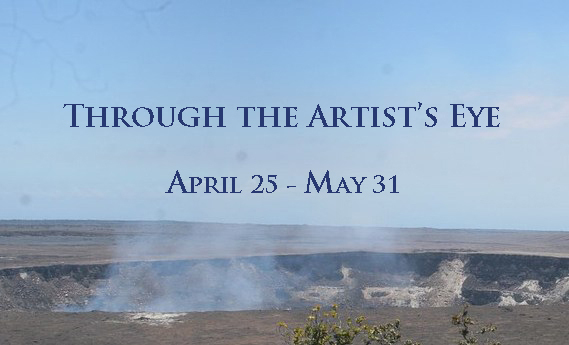 Through The Artist’s Eye is the first-ever Volcano Art Center invitational exhibition focusing on the native plant and animal species, and minerals found in Hawaiʻi Volcanoes National Park. This multimedia show features the selected works of Kate & Will Jacobson, Tommy Adkins, Clytie Mead, Mary Goodrich, Joseph Ruesing, Monica Mann, Esther Szegedy, Sarah Taylor Ko, Charlene Asato and Glorianne Garza. 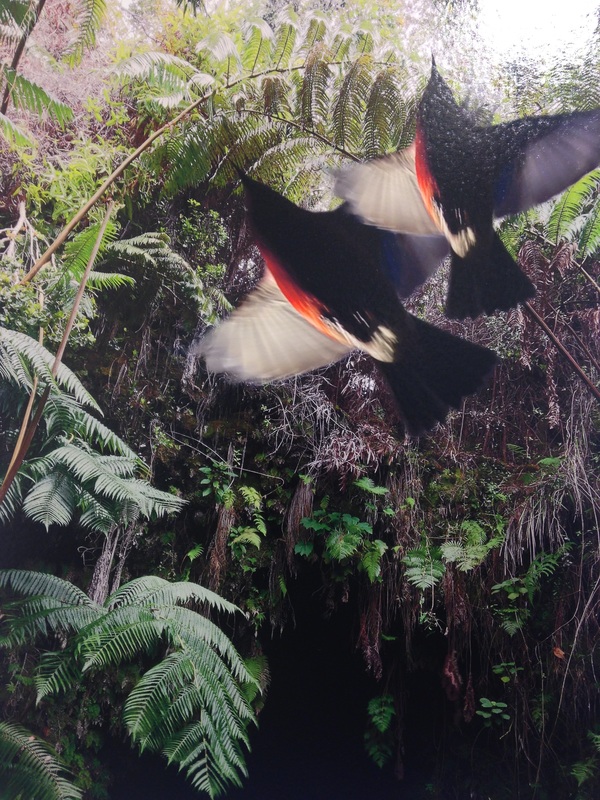 The artists have been selected from this year’s annual Hawai’i Nei, a juried art exhibition celebrating species native to the island of Hawai’i. VAC has challenged these artists further by narrowing the scope of their subject matter to plant and animal species, and minerals found in Hawaiʻi Volcanoes National Park. An opening reception with the artists will be held at the Gallery on Saturday, April 25 from 5pm-7pm. Through The Artist’s Eye runs through May 31. Gallery hours are 9am – 5pm daily. National Park entrance fees may apply. Ceramic artists Kate and Will Jacobson will demonstrate painting on raku pottery on VAC Gallery porch 1pm in Hawaii Volcanoes National Park. Raku, a type of Japanese Pottery, literally translates to “enjoyment”, “comfort” or “ease”. Come witness this husband and wife duo express their enjoyment of this artistic medium. Meet with photographer Joseph Ruesing at VAC Gallery, during the extended BioBlitz hours from 5pm to 7pm. Ruesing will be on hand to discuss the inspiration and technique used to create his composite photographs. Charlene Asato will demonstrate the art of book-binding using ohe kapala (bamboo stamps) designs, leaf prints or rubber stamps. Textile artist Glorianne Garza to host a trunk show of her intricate fabric designs and discuss quilting techniques. Ceramic artist Monika Mann will demonstrate on the porch. Using porcelain clay, Mann will demonstrate a water etching technique using native plants. After The Rain, watercolor on silk by Clytie Mead. Silk painter Clytie Mead shares insight and technique on how she develops an idea for a painting. 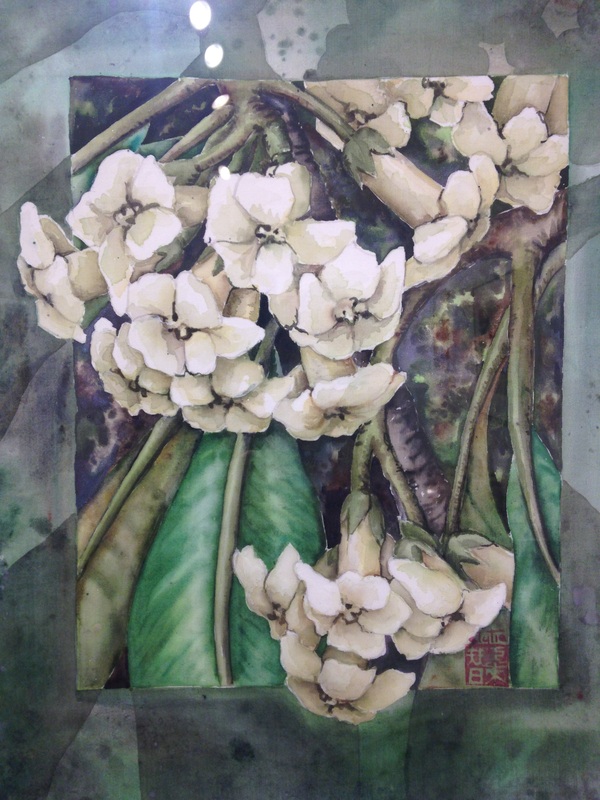 The artist will lead a short nature walk (cameras encouraged) through Hawai‘i Volcanoes National Park and discuss how she finds interesting subjects to paint. Mead will then conduct a short demonstration on how she works from enlarged photographs to drawings and finally creates the images onto silk. Photographer Tommy Adkins invites you to come walk with your camera in Hawai‘i Volcanoes National Park. Meet on Volcano Art Center’s Gallery porch and venture onto nearby trails with cameras in hand to capture the flora and fauna of the area. Adkins, best known for his stunning images of the Hawaiian crow or ‘alalā, will share stories, inspiration and techniques for capturing birds in their natural environments.